The 5017-611 From Axis Is A Wall Bracket. 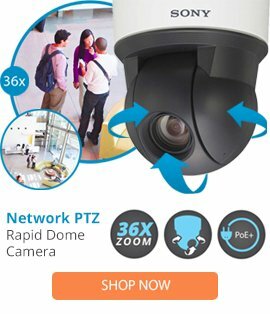 For Use With Axis Q6032-E Ptz Dome Network Camera, Axis P5534 Ptz Network Camera, Axis P33 Series Pendant Kit, Axis P33-Ve Series Pendant Kit, Axis 225 Pendant Kit And Axis 216/P3301 Pendant Kit. Includes Mounting Plate. White. Wall Bracket For The Latest Axis Ptz Dome Network Cameras And Fixed Dome Pendant Kits. Includes Mounting Plate And Axis Q6032-E Pendant Kit.